The first time around the Pocophone F1 sold out in under 5 minutes. Now Xiaomi has a new batch to sell in India (starting at 12:00pm local time). 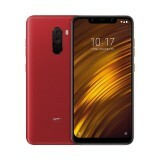 You can find it on Mi.com, which seems to have the 6/128GB version in Graphite Black and Steel Blue available. The other storage options are out of stock, as is the Rosso Red color and the special Armored edition. The other place to shop Poco phones is Flipkart. Check out the pricing below. why dont you download terraruim tv and livenet tv apps, they are better than netflix and amazon prime. watch fhd free content which isnt there on amazon or netflix as well. most latest movies and live tv and fhd. Man i dont think so. As i know asus they offer excellent notebooks but lack f updates in phones and i heard quality of their phones is bad as well.